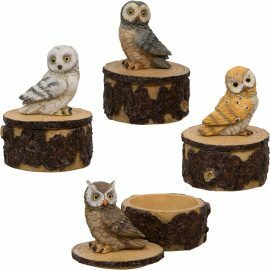 You can be protected and adorn your house with this Owl on Tree Trunk Box, Set of 4. 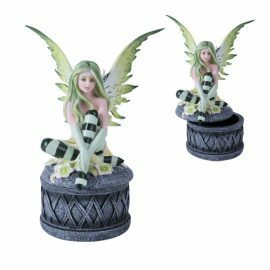 These stunning owl trinket boxes will capture the attention of anyone passing by. There are perfectly sized to house jewelry, stones and amulets. This item is not available at our Harrisburg store. 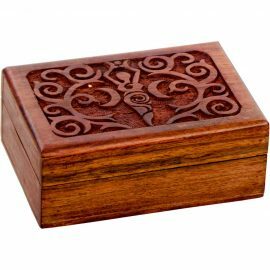 You can be protected and adorn your house with this Bronze Metal Lined Box, Pagan has patterning, textures and light and dark contrast have all been brought together to highlight symbols of the Pagan faith on this captivating bronze box. The box also has a brass latch, hinged lid and a black velvet lining. A coordinating triple moon design can be found on each side of the box. 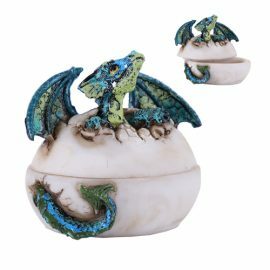 You can be protected and adorn your house with this Teal, Dragon Egg Box. This is a website only. 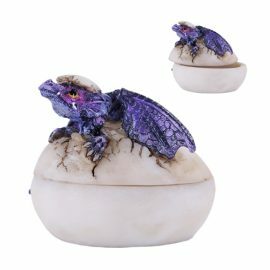 You can be protected and adorn your house with this Purple, Dragon Egg Box. 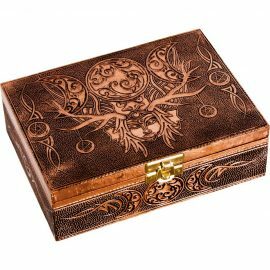 You can be protected and adorn your house with this Dream Catcher, Wooden Box, Velvet Lined, Laser Etched our finely detailed laser cut box features a dreamcatcher flanked by various animal totems and symbols. The box itself has a velvet lining and smooth polished sides. This box makes a lovely gift for any and every occasion. 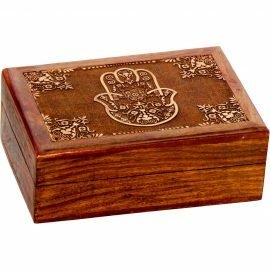 You can be protected and adorn your house with this Fatima Hand, Velvet Lined, Laser Etched, Wooden Box a laser etched Fatima Hand graces the cover of this velvet lined wooden box. 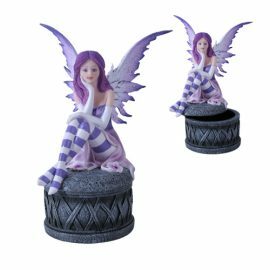 Its smooth polished finish makes holding the box a delight. 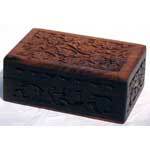 Use it as a jewelry box, to hold gemstones or your favorite tarot cards. 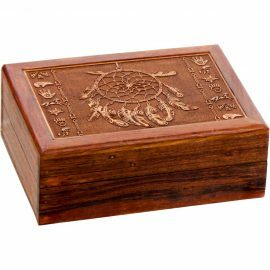 You can be protected and adorn your house with this Floral, Carved Box. 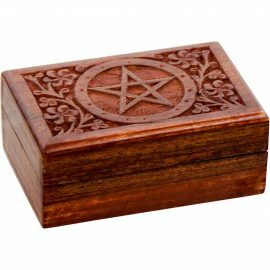 You can use this as a jewelry box, to hold gemstones or your favorite tarot cards. 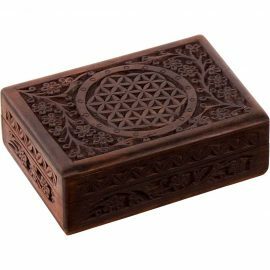 You can be protected and adorn your house with this Flower of Life, Carved, Wood Box. SYMBOL -The Flower of Life symbol is considered to be sacred among many cultures around the world, both ancient and modern. Within this symbol can be found all the building blocks of the universe that we call the Platonic Solids. The symbol can be used as a metaphor to illustrate the connectedness of all life and spirit within the universe. 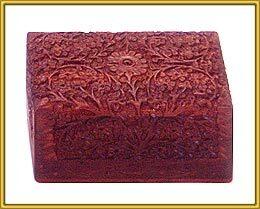 You can be protected and adorn your house with this Lotus Flower, Velvet Lined, Wood Box. 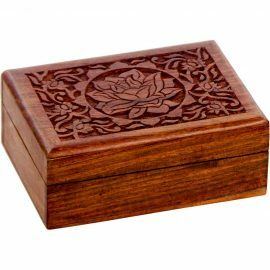 This alluring wood box features the carved image of a single Lotus Flower surrounded by a swirling array of smaller flowers. Its velvet lined interior is sure to keep its content safe from scratches and scuffs.